The Robert K. Jabs School of Business kicked off its Faith & Enterprise series of lectures Sept. 27 by inviting three-time gold medalist Leah O’Brien-Amico to speak on her experiences as an Olympic athlete. 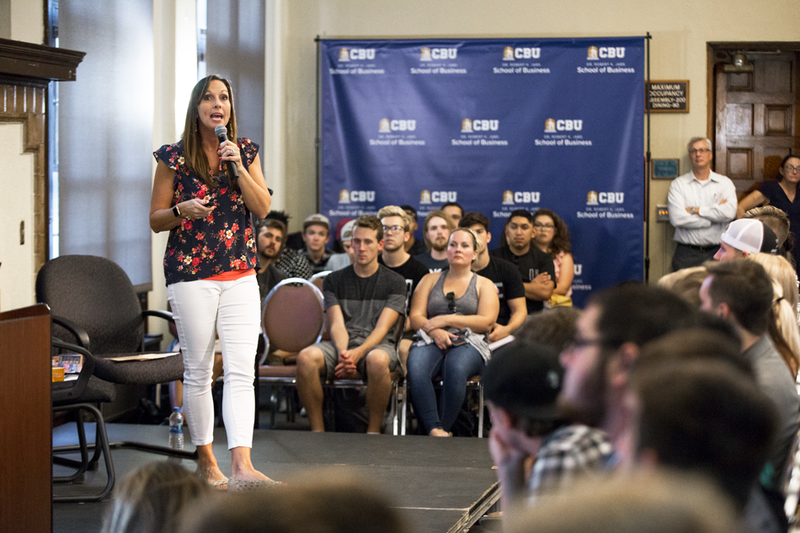 The Staples Room at California Baptist University was filled with students eager to hear O’Brien-Amico’s story as both an elite athlete and a person of faith. O’Brien-Amico spoke about her journey of figuring out God’s plan for her life. She discussed her success in the Olympics and being endorsed by Nike, but also about her failures. Michael Riad, senior business administration major, said O’Brien-Amico’s lecture reassured him. Although the event was hosted by the School of Business, students of all majors attended.